* The PIXMA MG3560 is an everyday solution for producing auto double sided prints, as well as copies and scans at home at exceptional speeds. * Print or scan from anywhere in the home or office through WiFi, or from any Smart Phone or Tablet with the PIXMA Printing Solutions app and Apple AirPrint. 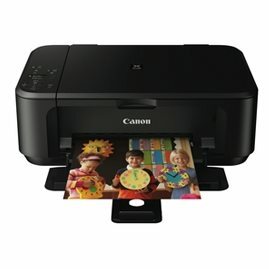 * The MG3560 also enables you to print through the cloud from anywhere with Google Cloud Print. * XL ink tanks are available to get more prints from each cartridge and significantly lower printing costs. * Plus the MG3560 comes with an array of exclusive creative and convenient printing software ensuring it is perfect for your personal, work and family printing needs.